Mehrnaz helps youth, adults, and companies achieve their goals by cutting through all the nonsense about overnight success. Each talk is backed by current research, compelling stories, and actionable takeaways for the audience. Mehrnaz has lived, worked, and studied in Japan, Iran, England, and Canada. Her studies and life abroad exposed her to different cultures and customs that shaped her understanding of the world in a unique way. She learned quickly that it’s important to learn the customs of a country in order to connect with its people. For example, in Iran, slurping and loud munching are considered poor table manners whereas in Japan it’s a form of showing respect and demonstrates you’re enjoying the food. Mehrnaz believes inspiring talks and speeches require the same trait. She speaks the audience’s language, whether it’s getting rid of technical jargon and replacing it with layman’s terms or using examples to share her knowledge in a way that your audience can drink it in. Mehrnaz is a warm and engaging speaker who is able to make complex theoretical subjects accessible and interesting for any learner. After observing her deliver a workshop on growth mindset and study skills, I was impressed by the way she distilled such complex information about neurobiology to a group of youth, who showed clear enjoyment of her talk and who asked many questions! She has such a broad range of knowledge that she was able to connect the topic of the day to the interests of the listener – she is a highly engaging and enjoyable speaker. Mehrnaz brings a passion and professionalism that stands out. 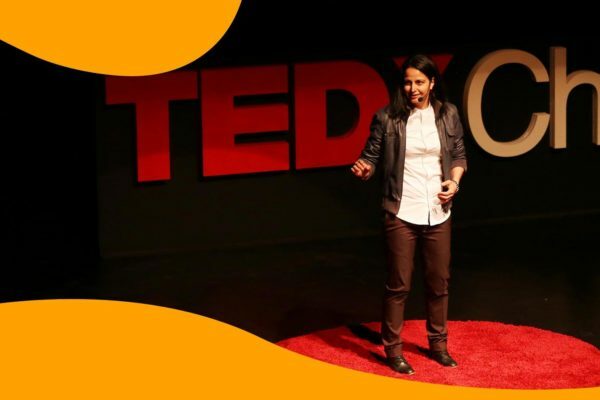 I had the privilege to work with Mehrnaz in preparation for a TEDx talk; it was evident early in our work that she is prepared and interested in ensuring audiences will have the best chance to grasp the 'idea'. Unlike other professional speakers who are convinced their talk is 'complete', Mehrnaz asked questions to receive honest, constructive feedback to ensure it aligned with the intent of the TEDx event. When you combine her practical way of presenting with a priority to ensure audiences are the priority, don't miss out on an opportunity to have Mehrnaz speak for you. In February 2018, our service club engaged Mehrnaz Bassiri to address sixty Grade 7 girls about how to prepare for the academic challenges of high school. We foolishly assumed that the girls would find it difficult to concentrate for any length of time on such a dry topic. We could not have been more wrong! From the minute she began, Mehrnaz captivated the girls’ attention with her simple yet sage advice. The girls were feverishly taking notes, despite re-assurances that they would receive an electronic copy of her presentation. Mehrnaz’s presentation is a must-see for students who are about to embark on further academic challenges. In 2014 Mehrnaz Bassiri was the recipient of the Sky’s Your Limit Entrepreneur Of The Year Awards sponsored by Futurpreneur Canada. She graduated from the University of British Columbia with a Master of Science and she is passionate about education. Subscribe to Weekly Reflections sent to your inbox every Sunday.